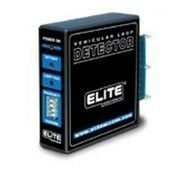 Elite A-ELD Plug-In Loop Detector for use with Omni Control Board. 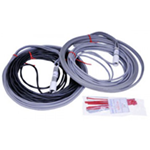 With Elite proven designand integration technology, these component detectors will make installation and maintenance of loop detection systems simple. 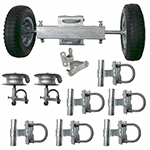 Features: 12V AC/DC - 24V AC/DC - 110V AC - 220V AC. Choose at checkout. 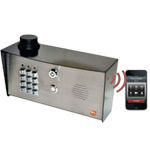 Loop diagnostics, Loop isolation transformer, Loop conditioner, Aluminum RF shield housing, Surge protection, Loop frequency counter, 10 gold plated sensitivity controls, 8 gold plated function controls, 6 gold plated controls for frequency, reset & frequency counter, Two high intensity LED indicators. 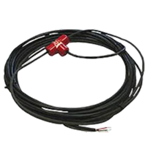 The ULTRALOOP ULT-DIN loop detector model has our new DETECT-ON-STOP™ or (DOS) feature, which allows detection only when a vehicle has come to a complete stop on the loop. 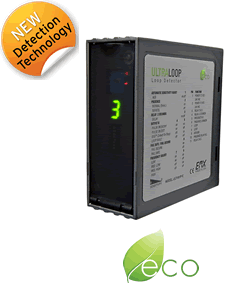 This ULTRALOOP™ Series Vehicle Loop Detector combines small size with full-featured functionality in a plug-in module. 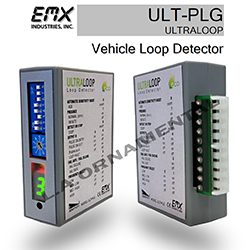 The ULTRALOOP ULT-PLG loop detector model has our new DETECT-ON-STOP™ or (DOS) feature, which allows detection only when a vehicle has come to a complete stop on the loop. 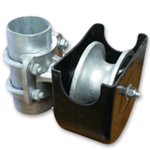 This exclusive feature is unique to EMX and is a major advantage if you want to ignore cross traffic in tight spaces. 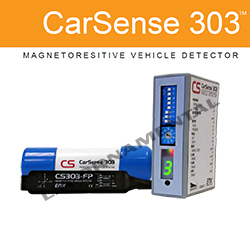 The CarSense 303 vehicle detector features advanced 3-axis, magnetoresistive sensing technology that responds to changes in the Earth's magnetic field caused by ferrous objects. 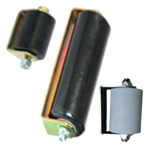 Three sensing elements provide measurements in the X, Y and Z axes to improve detection sensitivity when used in either above or below ground installations. 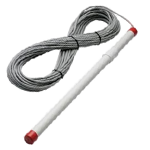 The Ultra D-TEK was designed to be plug-in compatible with Elite’s OmniControl™ board operators such as the SL3000 and CSW200. 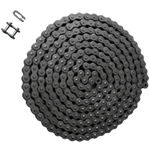 The Ultra D-TEK is now compatible with the Viking Loop Detector Rack. 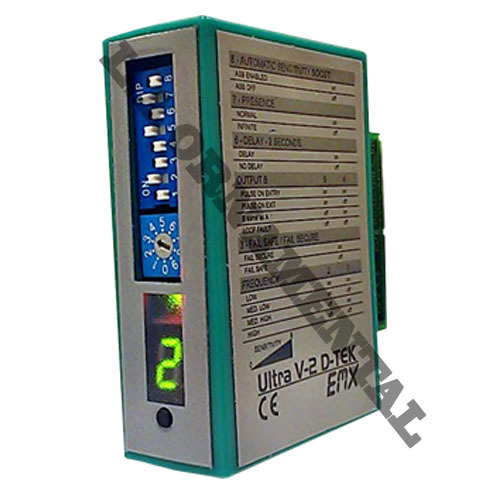 The Ultra D-TEK may be used in the Center, Safety and Exit slots on the operator control board. Sensitivity selection is simplified by the ULTRAMETER™ display that indicates the appropriate sensitivity setting to detect the vehicle positioned on the loop. 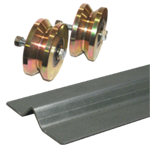 The 10 sensitivity settings allow for finer adjustment of the detection level, while the 4 frequency settings provide greater flexibility in preventing crosstalk in multi-loop applications. universal voltage loop detector. 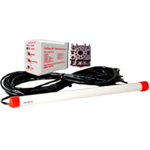 The MVP D-TEK solves the problem of not knowing which voltage to have for your installation. The Carsense 101 motion detector has a sensing probe that is buried in the ground so it is not noticed by potential intruders or vandals. 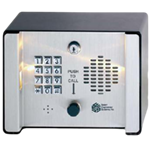 It is housed in a small, relay-type housing making it easy to integrate with security control boards, gate and door operators. 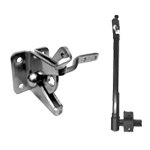 EMX Safety-Loop Kit Gate Safety and Traffic Control Kit The EMX allows for easy installation into small operator housings. 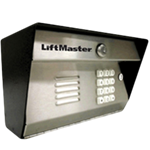 All the controls must be accessible for easy installation and operation. Detector must operate reliably with with marginal loops. 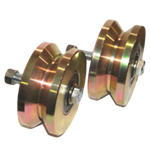 Provide all the feature and controls necessary for a variety of applications. Use for layer board for maximum durablility and RF blocking. 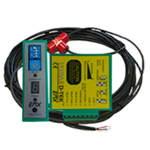 Provide maximum surge protection on all inputs and outputs of the detector. 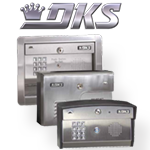 functionality of the standard D-TEK product line, and has a second output. Housed in a plug-in module, the Ultra V-2 provides a solid-state output indicating vehicle presence. 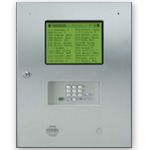 The second output can be used for presence, loop fault or pulse on entry /pulse on exit. 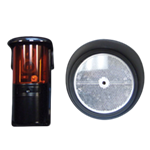 Engineered for ease of use, the VMD AC/DC provides a solution for many vehicle detection challenges. 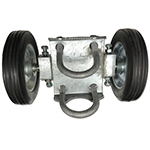 Where safety is an issue, the VMD detects moving vehicles in an industrial environment where there are blind areas along the driving path and actuates warning lights. 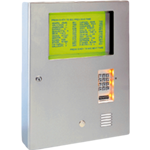 Where security is an issue, the VMD detects approaching vehicles or an unauthorized movement of a parked vehicle and actuates alarms, video cameras or annunciator. 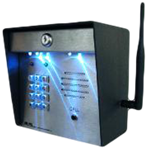 The compact EMX ULTRA II Motherboard allows you to plug in up to three ULTRA II D-TEK units in the same space as two regular detectors. 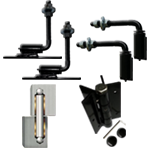 You can place three units into any operator that uses relay inputs to activate. 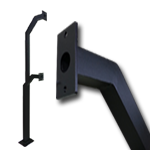 The D-TEK-LM ™ may also be used in any location protected from the weather to detect vehicles for annunciation, triggering cameras, lighting, etc. where 24 Volt AC power is provided. 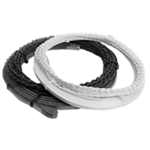 Wiring hookup is simplified using the HAR-7 wiring harness. 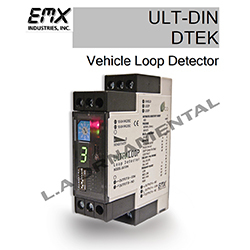 The EMX Ultra II D-TEK Vehicle Loop Detector was designed to be a more compact, energy efficient, cost effective and reliable detector that is easier to install and setup. Sensitivity selection is simplified by the ULTRAMETERTM display that indicates the appropriate sensitivity setting to detect the vehicle positioned on the loop. 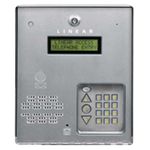 The 10 sensitivity settings allow for finer adjustment of the detection level, while the 4 frequency settings provide greater flexibility in preventing crosstalk in multi-loop applications.